ASTON MARTIN DB7. RH DOOR TRIM WOOD VENEER PANEL. This part has been removed from the car shown in the above photo's. All our parts are security marked. All part have been tested prior to dispatch and are in working order. IF PARTS COMPATIBILITY IS LISTED THEN IT IS ONLY TO BE USED AS A GUIDE. NS = PASSENGERS SIDE = LEFT. OS = DRIVERS SIDE = RIGHT. BLACK LEATHER WITH MATERIAL ON THE BOTTOM AND A WOODEN EFFECT TRIM. FOR RIGHT HAND DRIVE VEHICLES. IF PARTS COMPATIBILITY IS LISTED THEN IT IS ONLY TO BE USED AS A GUIDE. NS = PASSENGERS SIDE = LEFT. OS = DRIVERS SIDE = RIGHT. BLACK LEATHER WITH MATERIAL ON THE BOTTOM AND WOODEN EFFECT TRIM. FOR RIGHT HAND DRIVE VEHICLES. BLACK LEATHER WITH SILVER STITCHING. ASTON MARTIN DB9 2008. All parts are stamped & removal of the marks will invalidate your warranty. In the event that a part is supplied and proven to be incorrect or faulty, KENT AUTOPARTS must be notified within 48 hours. ASTON MARTIN. B PILLAR FINISHING TRIM SEAL RH. This part has been removed from the car shown in the above photo's. We also accept cash on collection where applicable. All our parts are security marked. ASTON MARTIN. B PILLAR FINISHING TRIM SEAL LH. This part has been removed from the car shown in the above photo's. We also accept cash on collection where applicable. All our parts are security marked. Over the years we have developed technology for repair cars such as Ferrari, Maserati, Lamborghini, Aston Martin, Bentley, Porsche. In such case, any complaint will not be recognized. 22-200 Włodawa. Over the years we have developed technology for repair cars such as Ferrari, Maserati, Lamborghini, Aston Martin, Bentley, Porsche. In such case, any complaint will not be recognized. Auto-West S.C.
Aston Martin part # 4 G43-22404-AE. Over the years we have developed technology for repair cars such as Ferrari, Maserati, Lamborghini, Aston Martin, Bentley, Porsche. In such case, any complaint will not be recognized. Żołnierska 2. Auto-West S.C.
Over the years we have developed technology for repair cars such as Ferrari, Maserati, Lamborghini, Aston Martin, Bentley, Porsche. Türverkleidung links. In such case, any complaint will not be recognized. Aston Martin part # 4G43-202B-00-AA. Aston Martin part # 4G43-202B-01-AA. Over the years we have developed technology for repair cars such as Ferrari, Maserati, Lamborghini, Aston Martin, Bentley, Porsche. Door card has little marks. In such case, any complaint will not be recognized. Türverkleidung rechts. Over the years we have developed technology for repair cars such as Ferrari, Maserati, Lamborghini, Aston Martin, Bentley, Porsche. In such case, any complaint will not be recognized. Aston Martin DB9 DBS Virage Left door card. Over the years we have developed technology for repair cars such as Ferrari, Maserati, Lamborghini, Aston Martin, Bentley, Porsche. Door card has little marks. Aston Martin Virage. 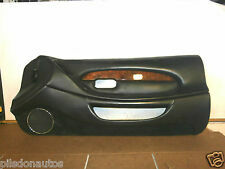 Passenger Door Card Wood Trim. 99.9% of the wood veneer has peeled off. 2017 - SteveStrange007 - Douglas Valley Breakers LTD.